With Veterans Day, an official United States holiday observed annually on Nov. 11, upon us again, unConventional sought out a few military veterans within the Georgia World Congress Center Authority’s (GWCCA) ranks to share their experiences. What was your division and position/rank? My last unit I served with was Weapons Company 1st Battalion 24th Marines out of Perrysburg, Ohio. I was the Supply Chief and my rank was E-6 Staff Sargent. How has your military experience helped you at the Authority? The Authority is just like the military, it’s fast paced, always something going on, you have to prioritize your thinking and realize what you do affects others around you. It was the challenge, I wanted to be different, I had to prove to myself that I could accomplish what my friends and family members were afraid to do. Are there any similarities between serving the military and serving the state of Georgia? Yes, you better believe it. Teamwork is the bottom line. Not only is my position here critical at the Authority, If I don’t do my job as a procurement officer (buyer of many things), the departments can’t perform their task/duties to maintain the Authority – meaning having the tools and right equipment to perform their daily task. As I would say in the military (The Steel Doesn’t Fly Without Supply) – you need it, we have it. You have to be readily available at all times and not afraid of failure. The military taught me to be both a leader and a great follower. I am a firm believer in the concept of teamwork, so it helps me as I lead my team in ensuring that we remain collaborative and have each other’s back. The military teaches humility, integrity and self-less service. This mindset allows me to put the goals of the organization over my personal goals. Serving in the military for me, was the most honorable way for me to serve the country. I also grew up in a military household, so it’s in my blood to serve. Service is service, it’s all about what you put into it that makes the experiences similar. I’m hardwired when it comes to serving, so the environment doesn’t matter. I served in the U.S. Navy from 1989 to 1993. When discharged, I was a Lieutenant (O-3). I was stationed onboard the USS America (CV-66), an aircraft carrier home-ported out of Norfolk, Va. Regarding my assignments, I was a qualified Officer-of-the-Deck Underway, so much of my time was spent standing Officer-of-the-Deck (OOD) watch on the bridge of the ship. When not on watch, I was the division officer in charge of the electricians in the ship’s engineering plant. I also was a qualified repair party officer, leading the ship’s localized firefighting, flooding, and damage control efforts. I wore several different hats. I tend to believe that I can almost always pick out my ex-military team members by how they carry out their duties. There are a lot of tell-tale signs, but the most common is an attitude that the mission always comes first, and a keen sense of teamwork and esprit des corps. I attended Tulane University on an N.R.O.T.C. scholarship. Essentially, the Navy paid full tuition, room and board, and in exchange I was commissioned on graduation and was required to serve a minimum four-year commitment. I stayed on a little bit beyond my minimum commitment, but then left to attend law school. Yes. In both instances, I take great pride in fulfilling a civic duty and prosecuting a public mission. At both the GWCCA and in the Navy, the people are the organization’s greatest resource. My experience helps me every day of my life. It allows me to be grounded. It allows me to handle very stressful situations in a calming manner. It focuses my attention on the importance of decision making and the consequences of making bad decisions. The pride of serving my country and the ability to grow as a man/person. The honor and devotion to a duty served, is one of the most fulfilling things that you will ever experience. Structure, but not as intense. The Air Force Core Values are Integrity First, Service Before Self and Excellence in All We Do. I’m able to apply these values in my role as an HR professional. 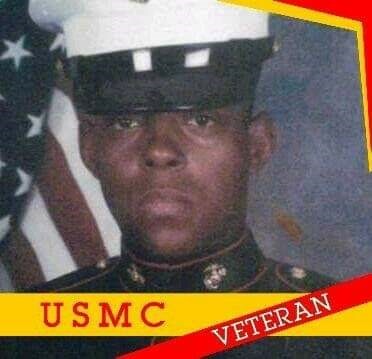 I was inspired by my father whom served in the Marine Corps. Similar to the Authority, my role at the 94th Aeromedical Staging Squadron required a certain level of discipline and professionalism in order to be an effective leader. Ikram is a recent grad from the University of Missouri. She is a strategic communicator with a passion for storytelling. Ikram is currently a communications intern for the Authority. She lives by the value "treat others how you would want to be treated." This is a wonderful article and I am very proud to serve alongside my fellow veterans at the GWCCA. Thank you for your service and dedication to our great country! Salute to all our Veterans who provide the freedoms we enjoy. Thank you to each and everyone for your service.